It’s not just tricky, it’s risky to address your brand's critics. 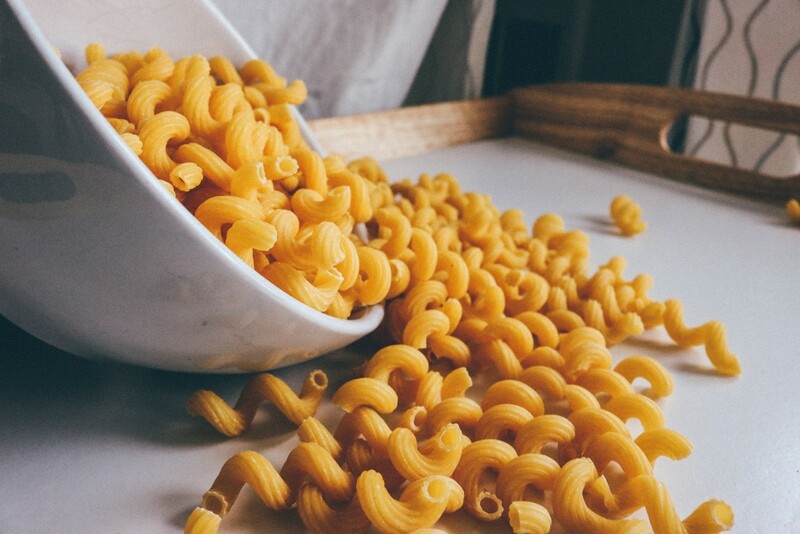 With the Macaroni & Cheese Method, you may be able to pivot the situation into a win. Despite what’s said at the annual board meeting, no brand is perfect. Still, we like to make improvements on our own time – and accept the kudos for great strategic foresight. Brands like Kraft Macaroni & Cheese field new competitors and fight to stay relevant in a culture hung up on natural. Nothing new. The rising threat is that Kraft and other beloved brands are being pushed around by individuals with loud voices who take the power out of Kraft’s hands. A health food blogger pointed out that chemicals give the comfort food its signature “cheesiest” color. Seemingly overnight a petition exploded, demanding Kraft address parents’ concerns. Among today’s recommendation-dependent consumers, hits like these are growing stronger. What was once corporate damage control can blow into a brand identity crisis. How do we address these critics who pose real threats to our brand’s health? When is the right time to acknowledge flaws and do something about them? It’s not just tricky, it’s risky to address your critics. The trust that you’ve built with consumers over time by maintaining consistency and reinforcing your core identity can instantly degrade through product changes or a new communications approach. Kraft perpetuates because generations have been raised on bowls of the creamy, comforting tubes with a signature look, feel and taste. How could Kraft change a product that’s so tied with nostalgia? A compromise this big makes consumers think twice: what are those chemicals in the mix, and why have you been allowing me to feed them to my family for so long? 1. Is this an attack on something core to our identity? Dolly Parton may have said it best: “I’m not offended by all the dumb blonde jokes because I know I’m not dumb… and I also know I’m not blonde.” If possible, Isolate the criticism as something non-essential, shed or swap the excess baggage, and move on. 2. Are we hoping this will help us become someone else? There’s no reason we can’t turn harsh words into a win for the brand (Look no further than the famous Domino’s Pizza Turnaround for evidence). And it’s hard to ignore Arby’s upswing, following its funny acknowledgement of “frenemy” status with Jon Stewart during the finale of The Daily Show, after years of Stewart berating the brand. But when it comes to executing a new identity as a response to criticism – fundamentally changing a business approach or product – it can come across as inauthentic, forever associating the change with being on the defensive. Consumers question a shift driven by desperation. 3. Have we considered how our friends will react? Brands often rely on concept tests or a variety of methods to ensure that loyal fan bases are behind a new strategic decision. No matter how loud the critic, it’s important to always find the necessary assurance from your company’s biggest advocates. In Kraft’s case, that checkpoint with its consumers became part of the strategy for addressing the change. In a bold move, they make a compelling case for the benefits of a national, blind taste test – largely because they addressed the first two questions so well. 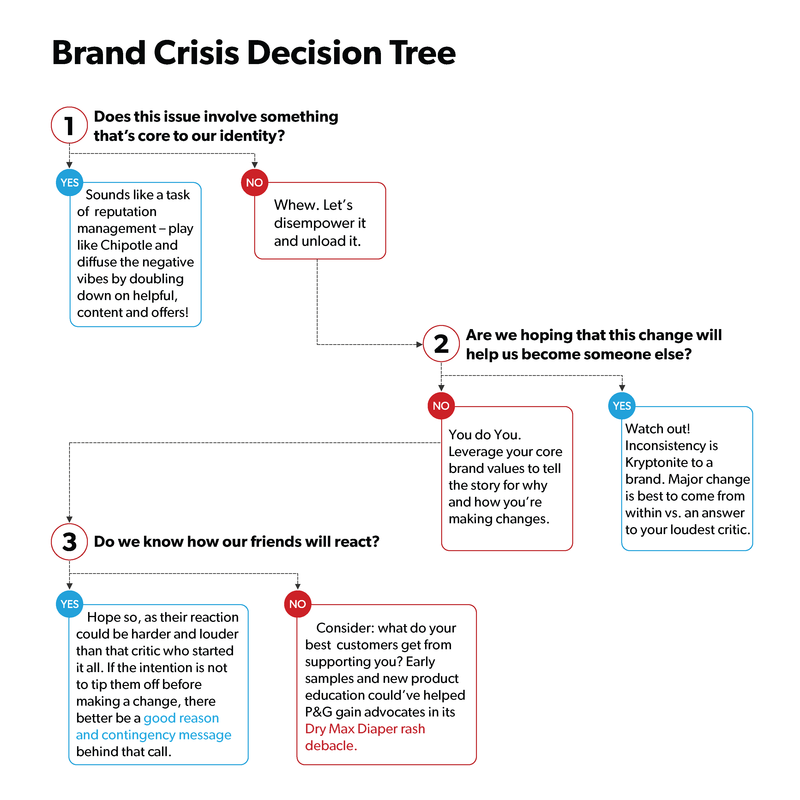 If your brand ever finds itself in a similar situation as Kraft, be sure to ask yourself the right questions before reacting to criticism. With the right amount of forethought and strategic guidance, you may be able to pivot the situation into a win.